AANM members receive $5.00 off when Promo Code 16AANM is applied. Come join Angel Davila as he discusses best practices for developing a preventive maintenance program that works and fits the needs of your community. This webinar will provide key concepts to consider when creating, implementing, and coordinating a PM program for the interior of your units, HVAC equipment, water heaters, golf carts and other capital equipment/high dollar tools. Join Angel Davila and the Webinar Wednesday Team on May 22, 2019 at 12pm to Prepare and Prevent! * Each registration is good for one attendee OR one on-site team. If you would like multiple attendees, group viewing events, or other needs, please contact us. 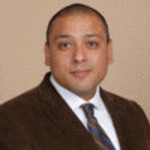 Angel Davila began working as a porter 10+ years ago after returning from deployment in the USMC & is now the National Maintenance Trainer at Monarch Investment & Management Group; a Colorado based company that operates in 20 states. Mr. Davila is a former AAA Board of Directors/AAA Education Foundation board member, was awarded as the 2018 Texas Apartment Association Maintenance Professional of the year and is an; NAAEI Advance Instructor Graduate, AAA Lyceum Graduate, NAAEI Leadership Experience Graduate, CAMT, CAPS, NAAEI Faculty, CPO, NAAEI William Wollinger Scholarship recipient, AAA Solt Scholarship recipient, and TAA Next Gen Scholarship recipient. Davila also instructs seminars for the following organizations: Goodwill Career& Technical Academy, Austin Community College, Austin Apartment Association, Texas Apartment Association, Refrigeration Services Engineering Society, Esco Institute & the North American Technician Excellence.